Seth Klarman was born on the 21st May 1957, in New York City, USA, and is a businessman, entrepreneur, and hedge fund manager, who is probably best recognized for being one of the founding members of the Baupost Group, a private investment company. He is also known for being the author of the book “Margin Of Safety: Risk-Averse Value Investing Strategies For The Thoughtful Investor”. His career has been active since the early 1980s. So, have you ever wondered how rich Seth Klarman is, as of early 2017? According to authoritative sources, it has been estimated that Seth counts the total size of his net worth at the impressive amount of $1.38 billion, accumulated through his successful career being involved in the business industry. 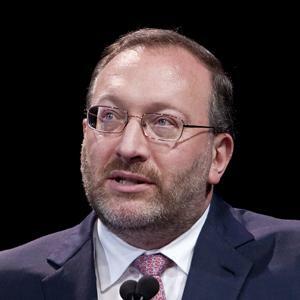 Seth Klarman hails from a Jewish family, and spent his childhood with his brother in Baltimore, where his father worked at Johns Hopkins University as an economist, while his mother was an English high school teacher; his brother is Michael Klarman, known for being a Harvard Law Professor. Upon matriculation from high school, he enrolled at Cornell University, from which he graduated with a BA degree in Economics in 1979, and where he was a member of the Delta Chi Fraternity. Besides that, he also graduated as a Baker Scholar from Harvard Business School in 1982, earning his MBA degree. When he was only 10 years old, Seth had started earning money by investing in his first shares, and later, after earning his MBA degree, his career in the business industry began on the professional level. At the beginning, he was hired by Michael Price and Max Heine to work at the Mutual Shares fund; however, he left that job, and established his own company called the Baupost Group in 1982 in Boston. The company is now one of the largest hedge funds in the world, and he works there not only as a value investing manager, but is also the CEO, which has a huge positive effect on his net worth. Additionally to his successful career as a businessman, Seth Klarman published the book entitled “Margin Of Safety: Risk-Averse Value Investing Strategies For The Thoughtful Investor” in 1991, which became a value investing classic, also increasing his net worth by a large margin. Furthermore, he was an editor of the 6th edition of Graham and Dood’s book “Security Analysis” (2008). To speak further about his career, Seth is also the owner of an online English-language Israeli newspaper called “The Times of Israel”, which no doubt also contributes to his net worth. When it comes to speak about his personal life, Seth Klarman is married to Beth Klarman. Their current residence is in Brookline, Massachusetts. In his spare time, Seth works with a number of charitable organizations, as he runs The Klarman Family Foundation which has over $255 million in assets, and collaborates with the American Jewish Committee, Gann Academy, etc. He is also known as the chairman of Facing History and Ourselves, and is an active member of The Israel Project.